Today's homeowners are looking for one trusted company to do their home repairs. That company is Sears - We are the nation's largest provider of home services, with more than 13 Million service and installation calls made annually. Sears has been in business for over 125 years and our brand name is one of the most recognized and respected brands in America. It's no wonder why America's homeowners look to Sears as their "trusted advisor". Now you can be part of the Sears story. A new Sears Garage Door will give any home a whole new look. 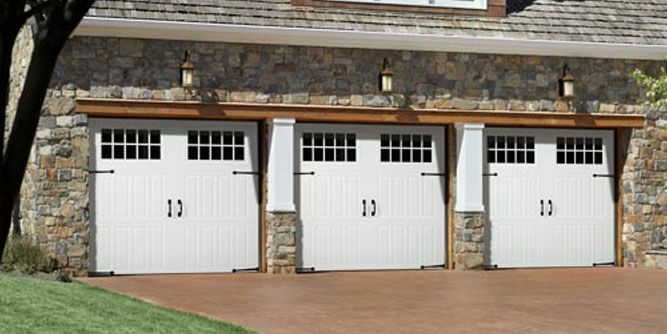 Choose from our classic Carriage House Collection or our vast selection of traditional style garage doors. Sears Garage Doors - The perfect style for every budget. 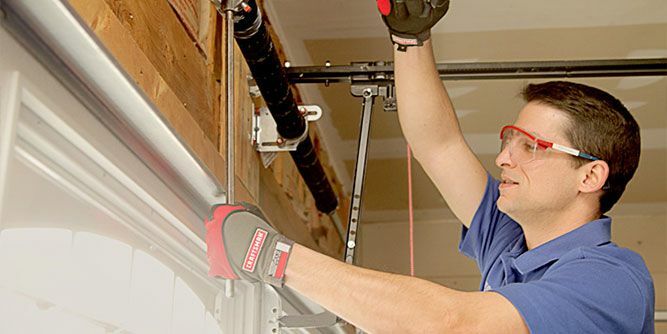 We offer repair services on Sears and most other models of garage doors. We also specialize in preventative maintenance "Tune Ups", automatic door opener problems, and spring & roller replacements. Purchasing power, enjoying real savings on equipment & supplies, vehicles, uniforms and advertising. Training and development that embraces everything from attendance at the new franchise owner's school to staff training, operations, IT, ongoing support and much more. Marketing and advertising strategies including exclusive advertising materials, Sears national media advertising rates, Sears lead referral programs, Sears websites, Internet Yellow Pages listings and more. Financing is available to qualified candidates for up to 80% of the initial franchise territory fee. In addition, Sears will give a 30% discount off the territory fee for Armed Forces Veterans. Join The Sears Family Today!